Using a springform pan, trace a circle onto a piece of parchment paper and cut it out. Line the bottom of the springform pan with the paper. Brush the pan with 2 tablespoons melted butter and carefully place the refrigerated pizza dough inside. 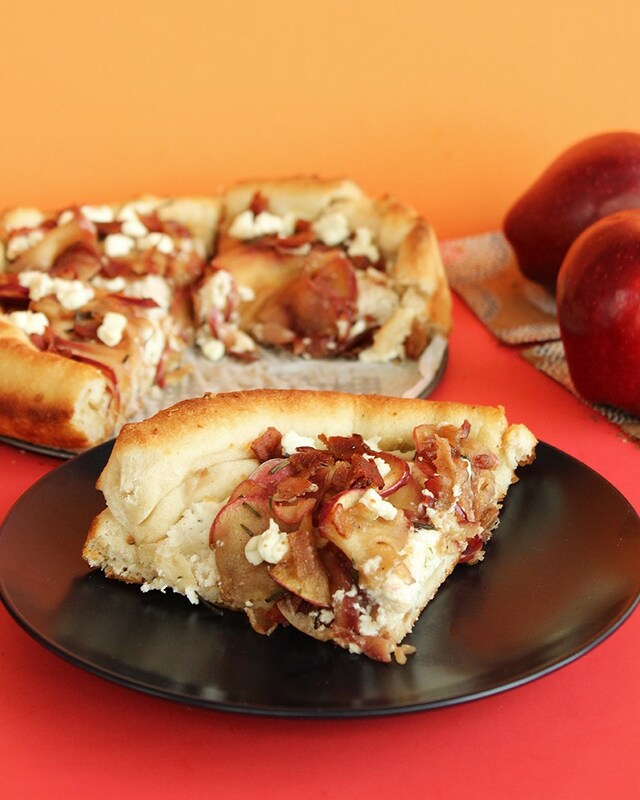 Use your fingers to shape the dough and create a crust. Brush the dough with olive oil and minced garlic. Sprinkle with oregano and bake for 4-5 minutes or until lightly golden. While the crust is baking, slice the apples with a Mandolin and place in a pan over medium heat with 1 tablespoon melted butter, salt, cinnamon and brown sugar. Reduce the heat to low and cover; allow to cook for 7-8 minutes. Remove the pizza crust from the oven and use a knife to top with ricotta cheese. 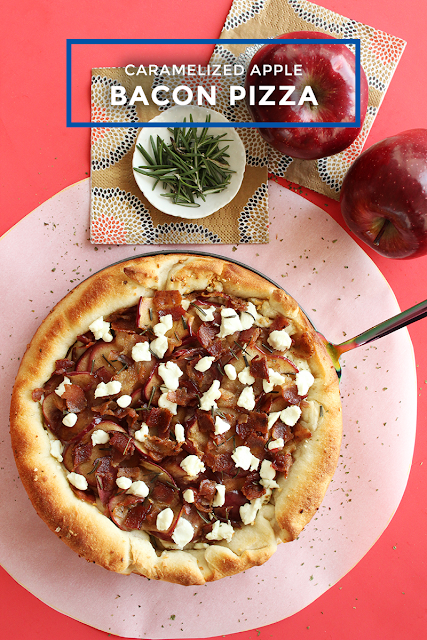 Once the apples are done cooking, transfer them to the pizza, along with the bacon, goat cheese and rosemary. Bake for 10-12 minutes or until the crust is golden brown.